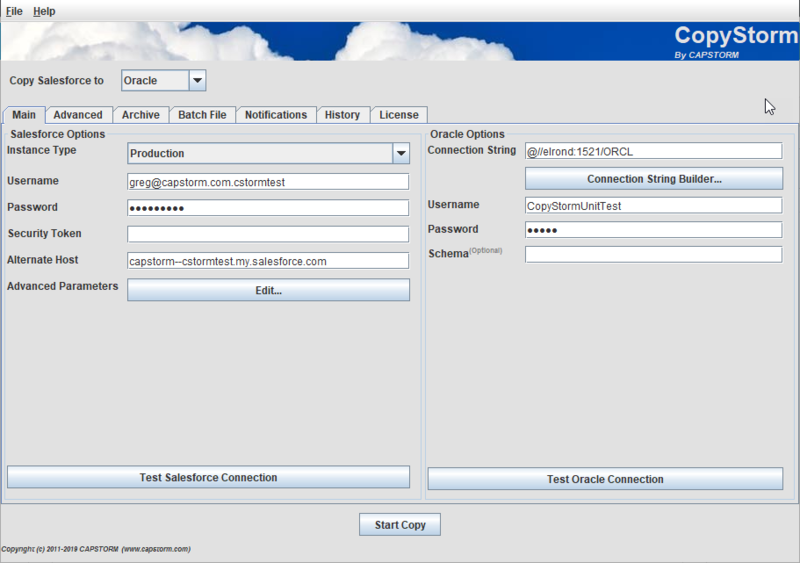 Prior to running CopyStorm for the first time, create a fresh Oracle database. The only complicated configuration required in the CopyStorm Main tab is the Oracle connection string. Clicking on the Connection String Builder button will open a form that will construct the connection string for you, given database information. The connection string can be verified by pressing the “Test Oracle Connection” button.